On Sunday, November 17, the Wine Before Breakfast community joined our friends at the Church of the Redeemer, Toronto, for a service featuring the music of Joni Mitchell. The texts for the evening were Psalm 98 and the beginning of the apocalyptic discourse in Luke 21.5-19.
while the worse will be full of passion without mercy. It is never pretty when things fall apart. And there is no cheap celebration when the centre cannot hold. Maybe things should fall apart. Maybe it was all a house of cards. Maybe it was all built on lies. it will always be violent. 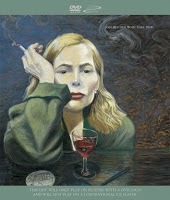 Joni Mitchell is a poet of endings. an apt description of the aspirations of modern culture. Joni Mitchell is a poet of endings, I say. A poet trying to get her soul free. for endings, and maybe, for new beginnings. But she is not a poet of cheap hope. She knows that we’ve been caught up in the devil’s bargain. the devastating power of wrong over right. the penchant to break the ever-present and ever-lasting laws. and the centre cannot hold. none of it is safe. but this circle game can be deadly. nothing less than a second coming. But a second coming of what? but this is no Christmas story. an hour of devastating endings. That’s just what we all needed at the end of the last two weeks in Toronto. No late night humour from Joni Mitchell, here. Just a deepening of the crisis. the humanitarian crisis in the Philippines. in the face of the crisis of climate change. show up so often in her work. Yes, there does seem to be some affinity between Joni and Jesus. You see, they are both poets of endings. Folks in Jesus’ time knew that the Temple was the centre of it all. this place of ceremony and liturgy. Surely, this is the place of revelation. Surely, this is the place that holds it all together. Surely, this is nothing less than the centre of the world! a blood dimmed tide is loosed upon the world. and a loosening of violence. and there will be great suffering. and not in my life or your life. But we all know that no endings come easily. and maybe even violence to yourself. and the beast is always just around the corner. that the spirit of this world would rise and heal. Jesus isn’t so keen on the spirit of this world. Jesus figures that the spirit of this world just might be the problem. And so he offers a different path. In the face of the violence, bear witness. Trust that in the midst of it all, this heart healer will be with you. there is a wisdom that is deeper than the foolishness of the world. can be transformed into the dreams of the Kingdom of God. you will regain your souls. and righteousness overcomes all wrong. will come together anew in songs of joy. May it be so, dear friends, may it be so. but marching towards the New Jerusalem.